The latest funny and moving comedy from the nation?s favourite playwright. Val first enters as ?Father Christmas? having just played the role at a children?s party. Leaving the party in full regalia he is knocked down but fortunately not hurt by a hit-and-run driver. He is rescued by Sasha, a kind and unsophisticated girl who shares a flat with her sister who has ?boyfriend trouble?. To show his gratitude Val attempts to help them both but his understanding of the modern girl is sadly lacking and his efforts are doomed to failure. A timely warning about the dangers of role-playing and pretence. WHILE I wouldn't describe?Sugar Daddies?as vintage Alan Ayckbourn, it is an engrossing, clever and at times hilarious comedy. This writer is an astute observer of human nature - in fact there are few who can better him in contemporary theatre. If this play, Altrincham Garrick's latest production, does have a message, it is you can't buy everything you want. Road accident victim Val discovers this after showering his saviour, Sasha, with gifts and paying for her shabby flat to have the makeover from hell. The end result is enough to bring Carol Smilie out in a cold sweat. 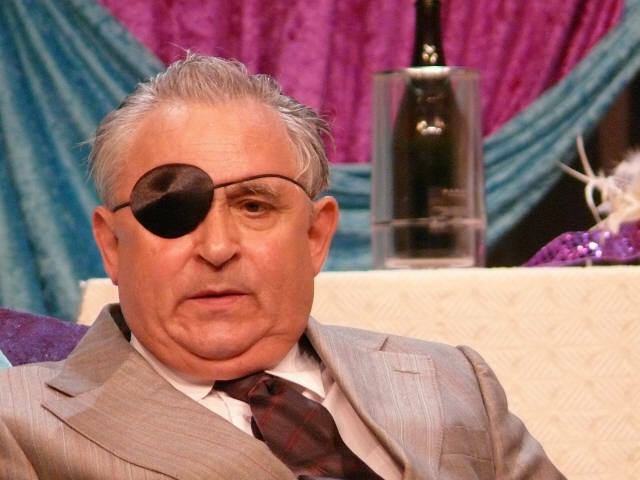 While the relationship between Val and Sasha forms the cornerstone of the plot, the play's funniest character is undoubtedly Ashley, a retired policeman with a dodgy ticker, who lost an eye in a "high speed car chase." This role is a gift for Bill Platt, one of the Garrick's best comedy actors. Platt gets some wonderful lines and his exchanges with Val - I can't recall a better performance from Geoff Noar - are absolutely priceless. I do hope these two work together on a Garrick comedy in the not too distant future because when it comes to acting they are an irresistible combination. 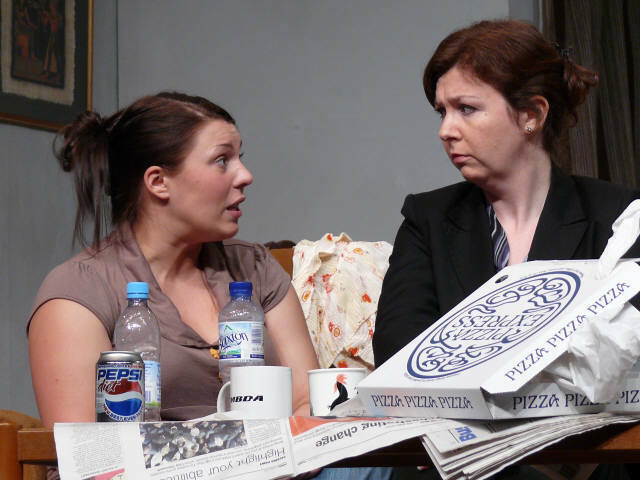 But that's not to under play this considerable contribution of the ladies in Maureen Casket's strong cast. Sarah Roberts, so impressive in?GamePlan, again reinforces her reputation as an actress to look out for. 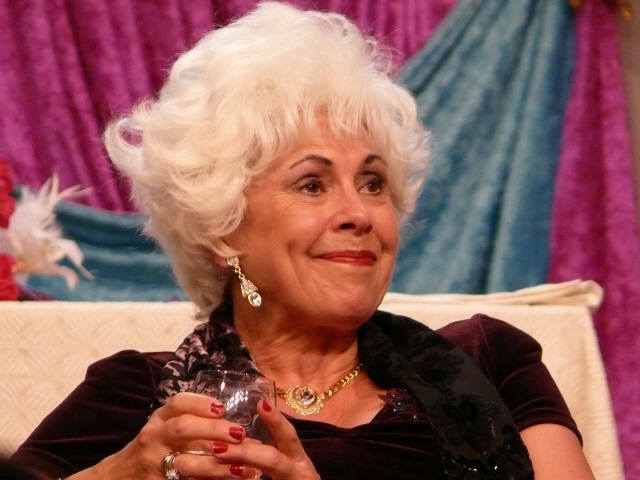 Her performance as Sasha is excellent and Carole Carr also deserves praise for her portrayal of Charmaine, who is obviously a graduate of the Gaudy and Garish School of Interior Design. Oh and what more can I say about Caroline Hickey, who plays Sasha's sister, Chloe. This girl is naturally funny and must be great to have around in rehearsals. A comedy for the upper end of the food chain. Altrincham Garrick hits the funny bone yet again. Wouldn't it be nice to have a sugar daddy? Alas it has never happened to me. 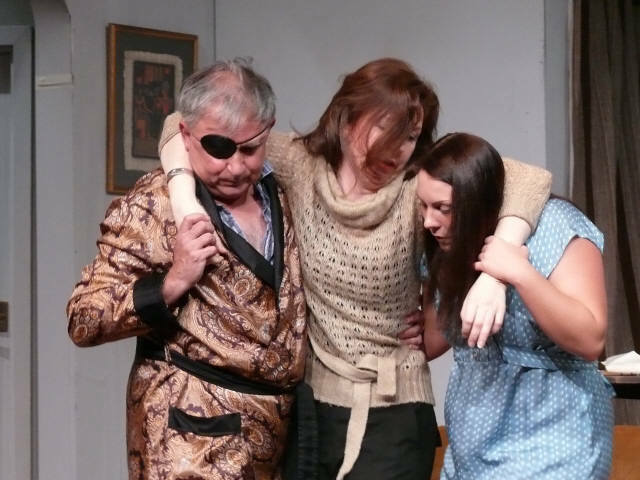 But it does to Sasha, a naive young student in Alan Ayckbourn?s play at Altrincham Garrick. What is more amazing is that this particular bloke is, at first, a Father Christmas and then a sugar daddy! Talk about a double whammy! In true sugar daddy fashion, he bestows Sasha with gifts and holidays after she rescues him from a car crash on his way back from a children?s party in full Santa regalia. 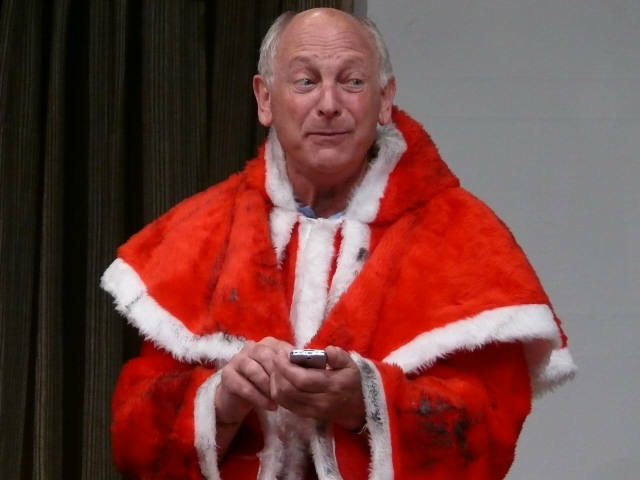 Garrick stalwart Geoff Noar plays Uncle Val, as he likes to be called, with great skill. Slowly he allows the audience to realise that he is not all he is cracked up to be. There is a wonderfully funny moment when Sasha introduces him to her half sister and flatmate, Chloe (Caroline Hickey) who is one of life?s failures both career-wise and relationship-wise. I liked Caroline?s clear interpretation of the role ? on the surface, business-like but beneath it, insecure. The shining light of the show must be Sarah Roberts? Sasha. She accurately represents her character?s strengths and weaknesses including her change in personality when swamped by material gifts, and her longing to be unconditionally loved. As a result she almost ends up with two sugar daddies when an elderly neighbour (Bill Platt) also wants her to call him ?uncle?. The second half begins with a party in Sasha?s flat, amazingly transformed by Uncle Val (and the Garrick) from a dull establishment to something resembling a brothel. The fictional interior designer is one of Val?s former babes, a mature dolly bird called Charmaine (Carole Carr). In the real world, credit should go to set designer, Margaret Norris. Sasha is persuaded to sing and she gives a moving performance (well done Sarah) but is mocked for it. This gives her the strength to end the relationship with Val. 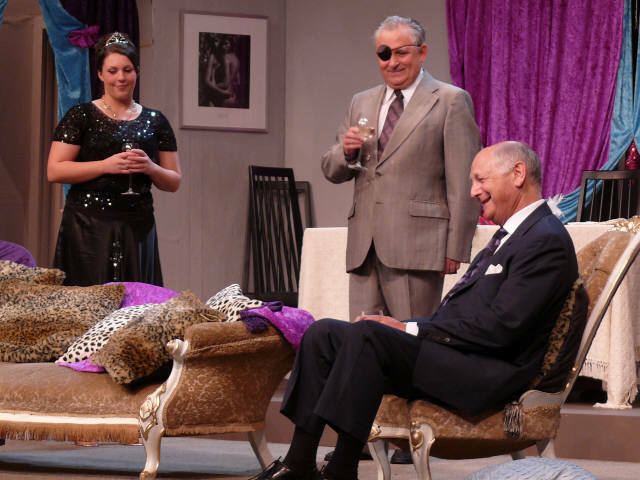 Sugar Daddies?is Alan Ayckbourn?s 63rd play. It was premiered in 2003, but wasn?t released to amateurs until 2006. Its only fault is that swift costume changes can cause delays between scenes. This can be a problem for amateurs. Nevertheless, the Garrick has struck whilst the iron is hot and enabled its members and friends to catch a glimpse of Ayckbourn at his best before other societies get the same idea. Father Christmas is a sugar daddy? One man's good intentions backfire in spectacular fashion and ultimately lead to fisticuffs in?Sugar Daddies, Altrincham Garrick's latest production. The phrase "season to be cheerful" has something of a hollow ring for Val after he's knocked down on his way home from a children's party, after playing the role of Father Christmas. A young woman called Sasha comes to his aid and Val agrees to help her and her sister, who is having relationship problems, to sort their lives out. But this poor chap soon discovers he's bitten off more than he can chew and when he meets Ashley, the other man in Sasha's life, the two of them end up coming to blows. 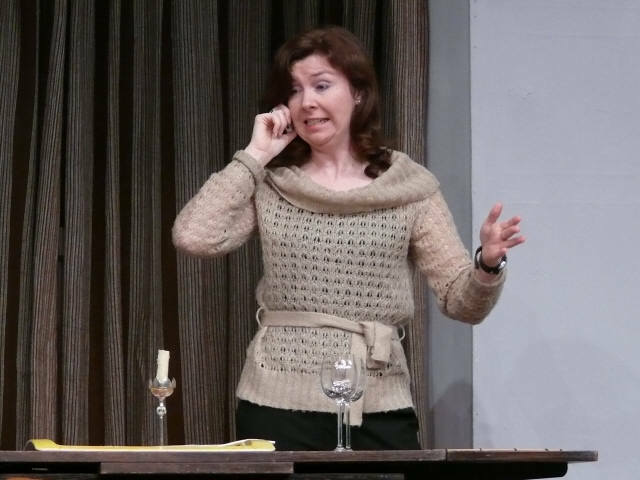 Maureen Casket is directing the play, which comes from the pen of Alan Ayckbourn, a man she describes as this country's most prolific playwright. "It's typical Ayckbourn funny', with no hidden meanings or anything like that. It's a straightforward, funny play about Father Christmas being rescued and turning out to be a sugar daddy," she says. Reading Ayckbourn's bibliography requires a sharp intake of breath - his list of plays seems to go on forever. He's remained a firm favourite with theatregoers and theatre groups for decades, and the amateurs give his works a regular airing. Has Maureen managed to work out the secret of his enduring popularity? "He always seems to choose something different to say and audiences know he's going to give them a very amusing evening. This play is very unusual because it's not about anything you would expect. He always uses very apt titles for what he does - there's always a twist in the title," she says.